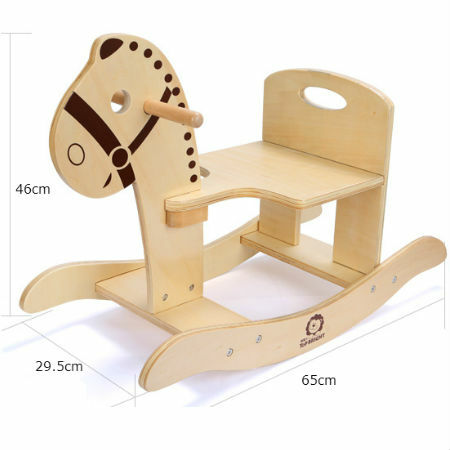 Wooden Rocking Horse is a beautifully simple and strong rocking horse. This Rocking Horse is made with high quality thick ply treated with child-safe varnish. This toy comes flat packed and is super simple to put together using strong allan key bolts. The Rocking Horse has 23.5 rocking degree and can hold 55 kgs weight safety. A really fun way to learn all about balance. High Ho Silver awaaay. We like this because: "Strong and simple a fantastic classic toy. "